Online tee times are not availabile for Laranjal. Discount golf rates for the 18-hole Laranjal Golf Course. It is the newest course in the Almancil area has many lakes and obstacles. The Laranjal Golf Course narrow fairways and the well defended greens require good concentration and club accuracy to navigate the testing course laid down over a rolling and well defined topography. 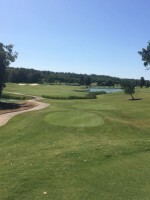 It has five par 5s, eight par 4s, five par 3s set amongst a mixture of pines, cork oaks and orange trees. To add to the challenge and vista there are five beautiful lakes. What a beautiful course (maybe we are biased because of being blinded by the constant sunshine in mid-february). The 'Orange Grove' is one of most beautiful courses in Algarve - course layout is great, fairways are beautiful and greens are fast but true. There are a few holes which reward the gutsy (but great) shot, but overall it's a course that offers a lot to golfers of varying abilities. I've promised myself (and my 12 y/o son, who was not with me on this trip), that we're coming back to Laranjal. The whole setup on all three courses at Quinta do Lago is second to none, and I'll recommend to everyone who's going to Algarve to play golf, to try all three courses. Love this course. 3rd time I've played it and doesn't disappoint. Played at 8am and was round in 3hrs 20mins, so pace of play was very good. Was on a decent score until I got greedy on the 9th, great par 5 as reachable in 2 but need to hit your second flush over the water - I didn't. Layout is great with 5 par 5's and 5 par 3's, makes it more interesting. 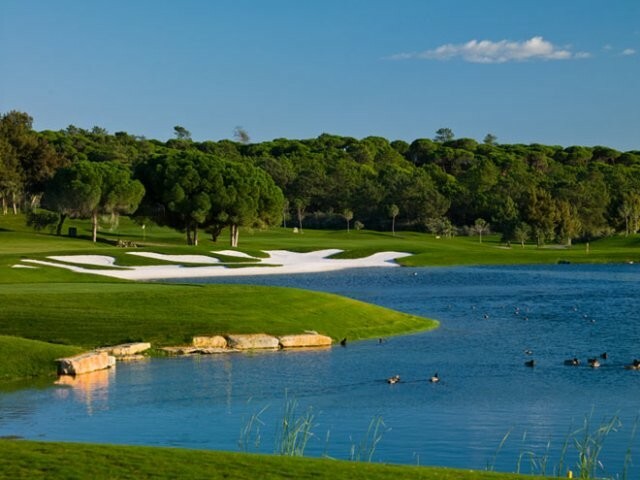 Always play this course when I visit Vilamoura. Our group played four tremendous course last year in the Algarve. Laranjal was the last of the four rounds and what a fantastic course it is. Beautifully lay out with a lot of thought put into every hole to keep you on your game. The whole experience was so fantastic that we are heading back to Laranjal next week to try and recapture the whole experience again. It is without one of the best courses in the Algarve. Beautiful settings and a high quality modern course with very difficult greens! You must pick the right tees for your abilities if you want to have a good round. We had a great experience other than not being able to use the putting green and practice facilities due to maintenance which was a surprise. That maintenance schedule should be changed to the end of the day like so many golf courses do. Loved the course. In great condition, all areas well looked after. Just excellent to play in wonderful countryside with no housing intruding on the course. Water and bunkers challenging but very fair - knowledge of the course layout very helpful in managing oneself round some tricky holes. Overall a superb experience.